These Ballet Spoofs of the World Cup Are Pure GOOOOOAAAAAALLLS! Uliana Lopatkina seconds before going in for the headbutt. Screenshot via @cloudandvictory Instagram. Whether you're a die-hard sports fan or Team Bunhead all the way, Cloud & Victory (aka the dancewear company with the world's cheekiest social media) has found a way for everyone to enjoy this summer's World Cup. Photo Courtesy Cloud & Victory. Dancewear brand Cloud & Victory is so much more than just clever t-shirts; founder Min is set on finding all kinds of ways to connect to the greater community. 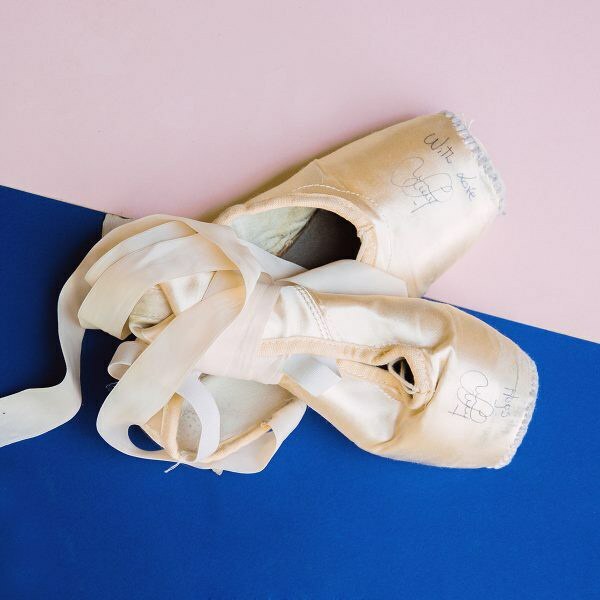 Earlier this fall she organized a master class led by American Ballet Theatre stars Gillian Murphy and Isabella Boylston, and now she's organizing a fundraiser to fight against child slavery called Pointes Against Child Slavery. Signed pointe shoes donated by ballet dancers from some of the world's best companies will be sold online from November 8-19. The proceeds will be donated to two non-governmental organizations committed to fighting against child slavery, sexual abuse and exploitation for the empowerment and welfare of underprivileged children. The first is Destiny Rescue, a U.S.-based organization that since 2011 has rescued 2,000 children enslaved in Thailand, Cambodia, the Dominican Republic, the Philippines and India. The second organization is The Promiseland Project in Nepal. The Singapore-based Promiseland Project is working to build a school and orphanage in Dhamphus, Nepal to "shelter, raise and nurture the poor, needy and orphaned children of Nepal and equip them with an education and skill sets to make a better life for themselves." The earthquakes that devastated Nepal two years ago have set the project back, and they're looking for funds to finish construction. Pointe shoes worn by Marianela Núñez during the Royal Ballet's Fall/Winter season. Photo via Cloud & Victory. Marianela Nuñez with artists of The Royal Ballet in Sir Frederick Ashton's "Sylvia." Photo via ROH. The Royal Ballet principal Marianela Nuñez exudes femininity and strength. It's no surprise, then, that her interpretation of the mythological huntress Sylvia, an independent, cunning young woman, is spot on. In this 2008 clip of the ballet choreographed by Sir Frederick Ashton, Nuñez commands the stage with her natural presence and effervescent personality. Performing Sylvia's Act III variation, the Argentinian ballerina captures the pure, English style with expressive epaulement, fluid port de bras, and crystalline clarity in her legs and footwork. Her calm musicality throughout makes Ashton's intricate choreography look easy. The variation begins with a challenging sequence of hops on pointe which Nuñez executes with delicate lightness. Then at 0:50, her snappy petite sissones are buoyant and precise. Perhaps the most beautiful moment in this variation is Nuñez's gorgeous balance at 1:34. She sustains an arabesque with her face lifting upward toward her arms in a high, open fifth position. She has a huge smile and you can sense the joy she feels on stage. Happy #ThrowbackThursday! Zenaida Yanowsky and Roberto Bolle in Sir Frederick Ashton's "Marguerite and Armand." Photography by Tristram Kento, Courtesy ROH. If you, like many of us here at Pointe, wish you could have seen Royal Ballet star Zenaida Yanowsky's retirement performance on June 7, you're in luck. The Royal will screen a recording of it in select movie theaters across the U.S. starting Sunday, June 25. (In many cities, it will be screened on Tuesday, July 11.) The program includes three works by the company's founding choreographer, Sir Frederick Ashton: The Dream, Symphonic Variations and Marguerite and Armand—the latter of which stars Yanowsky and Roberto Bolle. You can also catch other Royal favorites like Marianela Nuñez, Vadim Muntagirov, Steven McRae, Akane Takada and Yasmin Naghdi. Make sure to bring tissues! To find dates, times and theaters near you, click here. Marianela Nunez in Swan Lake. Photo by Dee Conway, Courtesy The Royal Opera House. When Marianela Nuñez isn't in rehearsal, there's a good chance you'll find her in her dressing room sewing pointe shoes. 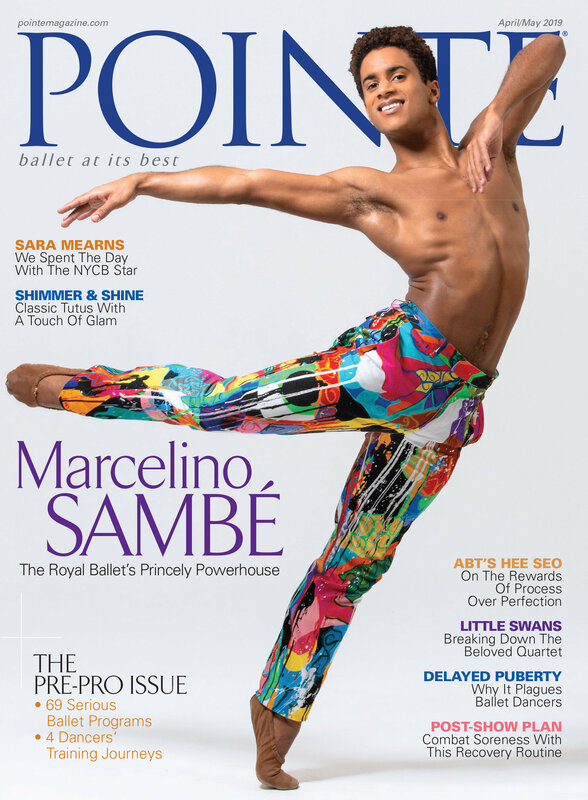 “I go through a lot of shoes—usually two pairs a day," said the Argentine-born Royal Ballet principal during last summer's U.S. tour. “And if I'm doing a full-length like Don Q, I go through three pairs a night." Nuñez has her sewing down to a 20-minute science (darning included). “It's quiet time for me—I find it quite therapeutic." Nuñez keeps most of her daily essentials in her tidy London dressing room. “It's so cute—I have a little fridge and a small sofa bed. I'm a bit OCD, too," she says, laughing, “so everything is in its proper place." But on tour, she carries her supplies in her high-end leather tote. “This was a present from a friend," says Nuñez. “It's quite posh for a ballet bag, but it's actually very strong." And one thing you'll always find stashed inside is a quilted vest from Uniqlo. “I am always cold, no matter where I am in the world, so these vests are always with me."